If you are reading this article you are likely not satisfied with your doctor’s answers to the problem of your tinnitus. There are many causes of tinnitus or “ringing in the ears,” as we will see below. There are many treatments to help manage tinnitus, but there are no validated treatments that will cure tinnitus. If you are reading this article you have likely tried many sound therapies, behavioral therapies, drug therapies, and coping therapies to help you manage through your day. In this article we are going to make a case for the “untreatment,” or “lack of treatment,” of cervical neck instability as a cause of tinnitus in some people. We will present the evidence for Prolotherapy injections as a treatment for cervical neck instability and a treatment for a symptom of cervical neck instability, tinnitus. The focus on this article is that for many sufferers, tinnitus is a mechanical disorder of the cervical spine as borne out by TMJ-TMD involvement. Throughout our website we have demonstrated that problems of the head and neck, including sensory issues of sight and sound, are more than an isolated problem of a single diagnosis. TMJ needs to be treated with a focus on cervical neck instability. Cervical neck instability needs to be treated as a problem of itself and the cause of a vast myriad of symptoms including TMJ and Tinnitus, among others. The patients that we see in our clinics, maybe just like yourself, have been on long journeys looking for help for their problems. They often spend a lot of time on trial and error medications and treatments looking for that correct combination that will provide relief. What is missing on this list is what we are going to cover in this article? Tinnitus can be triggered by cervical neck instability, TMJ-TMD can be triggered by cervical neck instability. The evidence for a missing diagnosis and treatment. Tinnitus can be caused by temporomandibular disorders. Temporomandibular disorders can be caused by cervical neck instability. Shouldn’t we then explore the source? Cervical neck instability? Listen to this new research, published in print January 2019, it comes from medical university doctors in Sweden, published in the Journal of Oral Rehabilitation. (2) In this study the doctors evaluated the prevalence of tinnitus in patients with temporomandibular disorders and the possible effects of TMJ/TMD treatment on tinnitus symptoms. Listen again: The study says there is a connection between temporomandibular disorders and tinnitus. The researchers cannot make a definitive connection because available research on treatment does not allow them to suggest a treatment that would appear to be beneficial to BOTH problems. Something is missing in this puzzle. 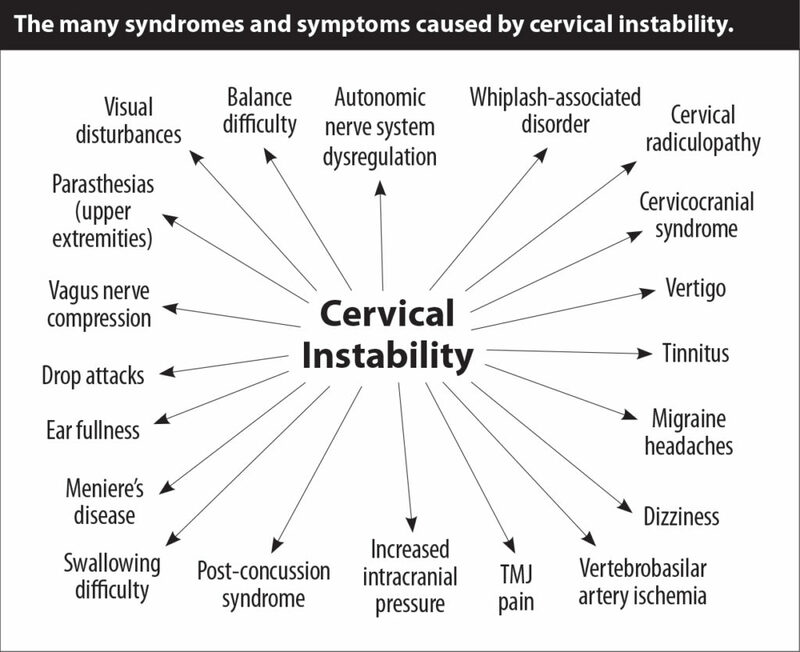 In our opinion at Caring Medical, it is a diagnosis of cervical instability. The missing diagnosis of cervical instability appears to have influenced supportive findings that were also published in print January 2019. This study comes from from medical university doctors in Spain, and also published in the Journal of Oral Rehabilitation. (3) After reviewing the medical literature that spanned from 1992 to 2018, this research team was able to demonstrate that the prevalence of tinnitus in TMD patients is significantly higher than that in patients without TMD. So there is a connection between temporomandibular disorders and tinnitus, but there seems to be a missing link. For many people with tinnitus, a simple look in the ear for ear wax buildup or infection can be an effective way to handle problems of tinnitus by handling the problems of ear wax and ear infection. But what about persistent tinnitus? How many times can we look inside a patient’s ear looking for an answer that may not be in the ear? Doctors do look at the neck, but what they may be looking for is a neck mass or a neck tumor, an obvious anatomical deformity which may lead them towards neurological disorders. But what if there is an anatomical deformity that is not so obvious? Cervical neck ligament damage that causes hypermobility in the cervical spine and pressure on the nerves that run through the vertebrae and the nearby circulatory system into the neck and head? As our article focuses on cervical neck instability, we will focus on the musculoskeletal examination portion of Dr. Yew’s paper. What does this mean? Diminished or enhanced tinnitus perception with these maneuvers suggests a somatosensory component. That is pressure, pain, or influence on the somatosensory system. What does this mean? Tenderness in these areas may suggest a somatosensory component and need for dental or otolaryngology referral. OUR COMMENT: this denotes an anatomical problem. The recommendation to dentist could implicate TMJ – TMD, the recommendation to otolaryngology referral or an ENT surgeon could suggest that the doctor should be looking for tumor or derangement. Below we will discuss a non-surgical application if tumor is ruled out. As we stated above, tinnitus can be caused by many physical challenges. We will not suggest that every incidence of tinnitus can be treated by addressing chronic neck pain and chronic neck instability. The purpose of this article was to offer a “missing diagnosis” for people who have had extended medical care and seemingly no answers. We are trying to help people who are on medications and other cope management techniques by looking at something they may not have had explored, an examination of the stability of their cervical spine. Caring Medical Regenerative Medicine Clinics have published dozens of papers on Prolotherapy injections as a treatment in difficult to treat musculoskeletal disorders. We are going to refer to two of these studies as they relate to cervical instability and a myriad of related symptoms including the problem of tinnitus. In 2014 we published a comprehensive review of the problems related to weakened damaged cervical neck ligaments in The open orthopaedics journal. (6) We are honored that this research has been used in at least 6 other medical research papers by different authors exploring our treatments and findings and cited, according to Google Scholar, in more than 40 articles. 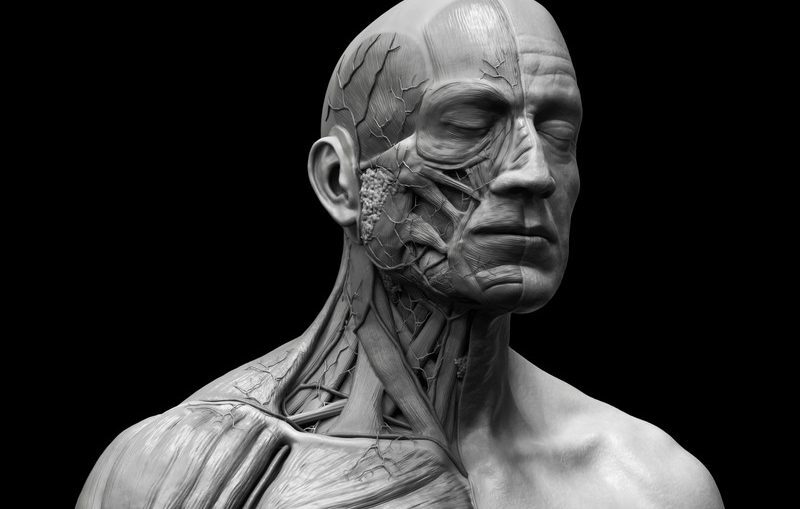 What we demonstrated in this study is that the cervical neck ligaments are the main stabilizing structures of the cervical facet joints in the cervical spine and have been implicated as a major source of chronic neck pain. Chronic neck pain often reflects a state of instability in the cervical spine and is a symptom common to a number of conditions, including disc herniation, cervical spondylosis, whiplash injury and whiplash associated disorder, post-concussion syndrome, vertebrobasilar insufficiency, and Barré-Liéou syndrome. We often see patients with all these symptoms, yet they do not have a coordinated effort to address them all. We often see patients with all these symptoms, yet they do not have a coordinated effort to address them all. They may be getting medications for all of these problems, they may be getting physical therapy or other treatments to help them cope with these issues but rarely do they get a unified treatment to address them all. We suggest that Prolotherapy injections to strengthen the cervical ligaments gets at the root cause of these disorders at the cervical level. We are treating the cause not the symptoms. As we documented in this research, There is considerable overlap in chronic symptomology between atlanto-axial instability, whiplash associated disorder, post-concussion syndrome, vertebrobasilar insufficiency, and Barré-Liéou syndrome. Possibly because they all appear to be due to cervical instability. To date, there is no consensus on the diagnosis of cervical spine instability or on traditional treatments that relieve chronic neck pain. In such cases, patients often seek out alternative treatments for pain and symptom relief. Prolotherapy is one such treatment which is intended for acute and chronic musculoskeletal injuries, including those causing chronic neck pain related to underlying joint instability and ligament laxity. Prolotherapy is referred to as a regenerative injection technique (RIT) because it is based on the premise that the regenerative/reparative healing process can rebuild and repair damaged soft tissue structures.